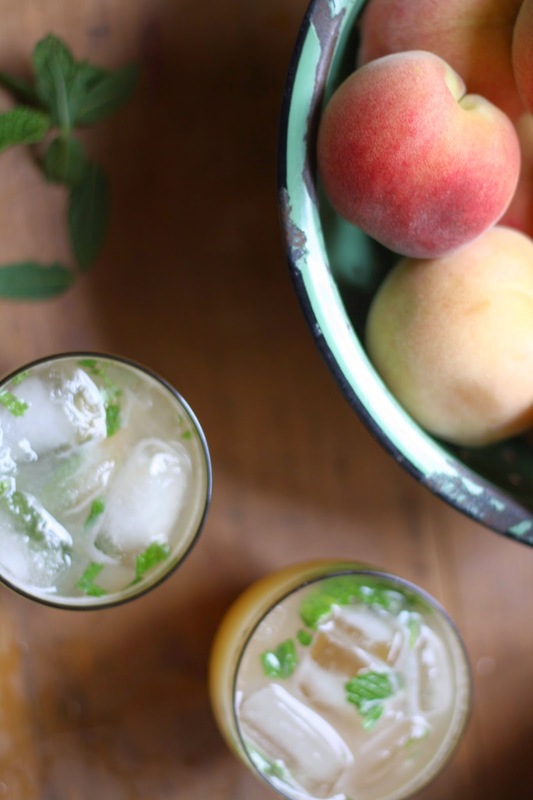 On hot summer days when it's too hot to eat this is the drink I want to sip all day using the delicious white peaches. Neither a soft drink nor a fruit juice, agua frescas, which translates as “fresh waters” in Spanish, is a subtly flavoured refreshing drink that is not too sweet. Agua Frescas are sold by street vendors throughout Mexico and their carts are loaded with huge glass barrels of delicious thirst-quenching fruity flavours. You can use watermelon or strawberry, but my favourite is white peach. There is a gorgeous stone fruit farm in the next village from us and during the summer months gorge ourselves on cases of their peaches and nectarines. Whatever fruit you can get your hands on, adjust the sweetness to your taste and ripeness of the fruit. Just remember it’s around 1 part fruit to 2 parts water. You can also vary the recipe by adding mineral water or even vodka or tequila if you want a grown up version. Add the fruit and 2-3 cups of the water to a blender and puree until smooth. Strain through a sieve into a large jug. Add the rest of water, agave, lime juice and mint leaves. Stir well and add ice and more water and sweetener if needed. Serve chilled – it’s nicer if you let it sit for a few hours in the fridge to get really cold.